Chinese New Year is the biggest holiday for Chinese people around the world. The festival is one of several Lunar New Years in Asia, celebrated in Vietnam and Korea. During the holiday, the Chinese celebrate with family gatherings, feasts, gifts — and of course, red envelopes. It’s a golden opportunity for brands to market to Chinese people around the world. 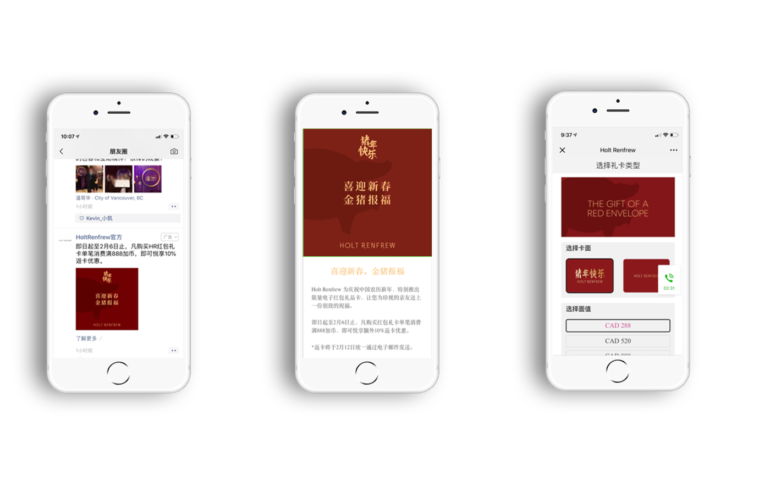 This Chinese New Year, Sheng Li Digital and Holt Renfrew ran a wildly successful WeChat Moments advertising campaign that both captured the essence of the holiday and make a significant impact on their bottom line. One of the most important traditions of the new year is giving good fortune. Sending red envelopes is a customary way to send prosperous wishes and luck — as well as money. In the past, money was given in physical envelopes. In recent years, digital envelopes have become more commonplace. A WeChat red envelope is an online money transfer via the WeChat app. Holt Renfrew drew inspiration from this deep-rooted custom for a digital red envelope campaign. WeChat users purchased digital red envelopes in the form of Holt Renfrew gift cards for their friends, family, or themselves. A 10% discount incentivized purchases. WeChat Moment Ads were the main channel to promote this campaign due to its shareability, wide reach, and high engagement. Two WeChat Moment Ads ran from January 24th to February 2nd. The ads generated over 1 million unique impressions, successfully reaching every WeChat user in Canada. 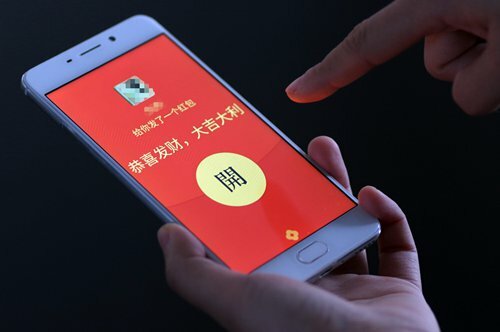 Thousands of users clicked through to the landing page and purchased red envelope gift cards during the two-week campaign. Through the use of the WeChat Moment Ads, Holt Renfrew was able to effectively take advantage of Chinese New Year, and ultimately more than double their year-over-year campaign revenue. Interested in running a WeChat campaign of your own? Contact us here.